Write an article on how literature / or films can make you more aware of social inequality, past or present. Use examples from two or more English-language texts and or films to illustrate your views. We have seen the movie "The blind side", directed by John Lee Hancock. The movie is based on a true story from 2006. Its about Michael Oher. This movie points out a very important theme in todays society. Like the fact that not everybody have the same opportunities. It also point out how difficult it could be for a person that wants to get rid of their background and history, to attend to a school and a job and a place to live. Even though the main theme in the book is a fight for Michael Oher to became a great student and to get rid of his bad childhood, the movie point out how a nice woman open her hose and heart to Michael. Because she sees the potential in him. 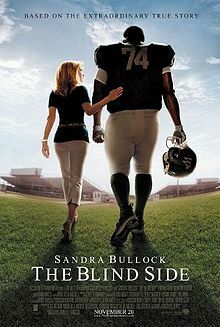 The title, The blind side, has a double meaning. In this movie the american football is very relevant, and its is the grads and tackles jobs to hold the field open for the runnings backs so they can run. Michael promised to protect her from the things she could not predict from the back. Like a left tackle. Michael`s position at the field. I think this movie gives us a great insight how hard it can be for a person to live in a ghetto, and try to get out from there. Michael`s "friends" from the ghetto said he never would manage it and that he belong here. I also think that, if a person like Michael meets resistance on his way out, is easier for him to just quit, than for a wealthy and successful teenager. The successful ones do most likely have great parents to help them through various obstacles. On the other hand many of those peoples have gone through a lot and realise that if they manage the see what they have see, they would definitely manage to became a part of another society. When Leigh Anne and her husband Sean decides to take him home for a bed and some food, I think many people think that was an amazing thing to do. She helped him to better grades, and her son helped Michael became a great football player. Leigh Anne was very obsessed by using examples from how to protect his teammates, like friends and family instead of yelling. When you use examples from things you have seen or gone through, when you are talking about love, family, friends, security and safety you are more able to realize that this is important for you, or for your family. To conclude I will like to say that this is a great movie, and I really recommend to to everybody. It has a great moral and story. And the fact that it is based on a true story makes it even better. This was very interesting to read, you have many great examples of what happened in the movie and of social injustice. You forgot that you were supposed to compare the movie with a book or another movie though! Well thought out review of the film and some great introspection! I love the Blind Side its me and my moms favorit movie. 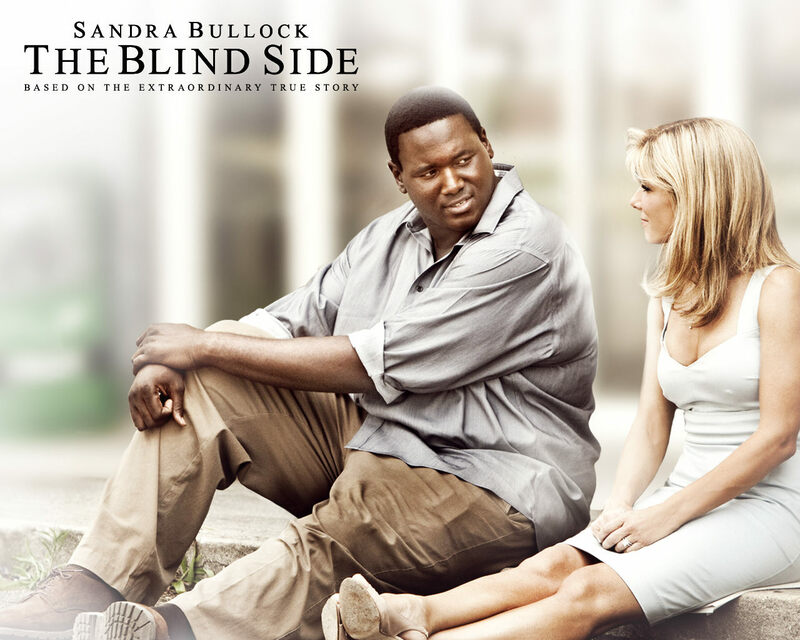 I've also seen The Blind Side.I think it was a great choose of film.